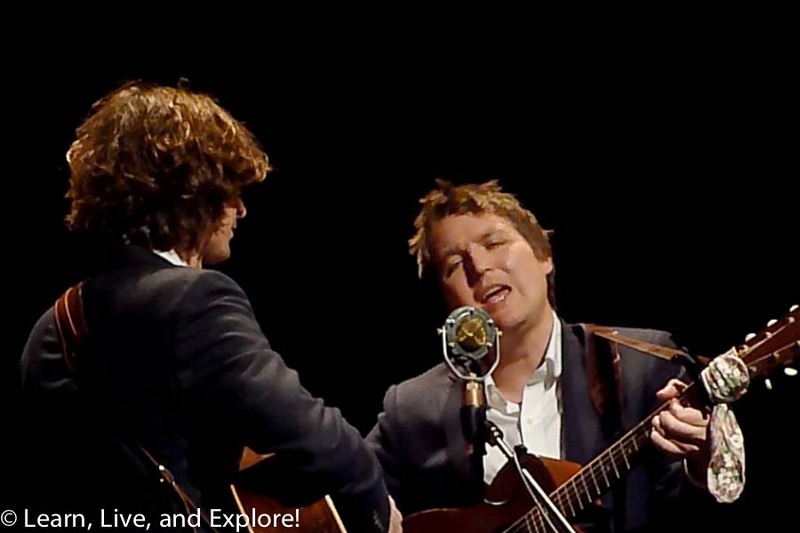 Music You Need to Hear: The Milk Carton Kids ~ Learn, Live, and Explore! 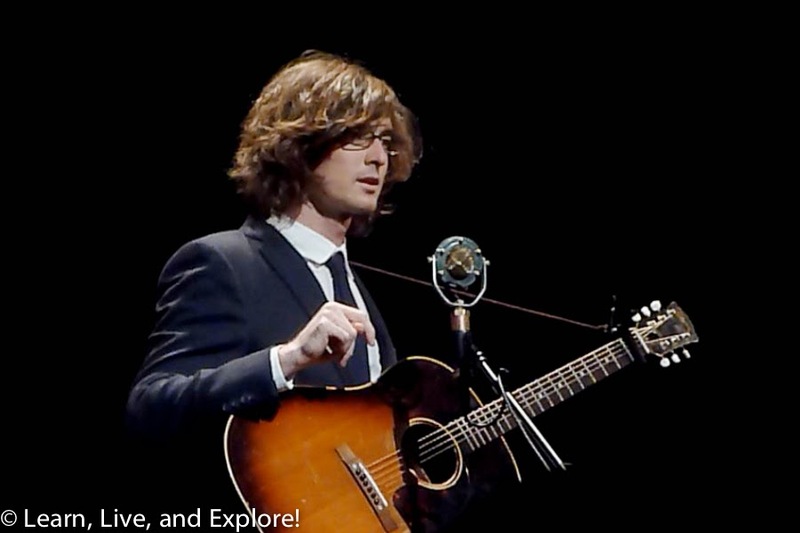 Tonight I was lucky enough to be able to treat my ears to the music of The Milk Carton Kids out at The Barns at Wolf Trap in Virginia. I heard them for the first time last September when I attended the benefit concert Another Day/Another Time - Celebrating the Music of "Inside Llewyn Davis." I remember being just mesmerized watching the flatpicking talent of Kenneth Pattengale and being delighted by their harmonies. 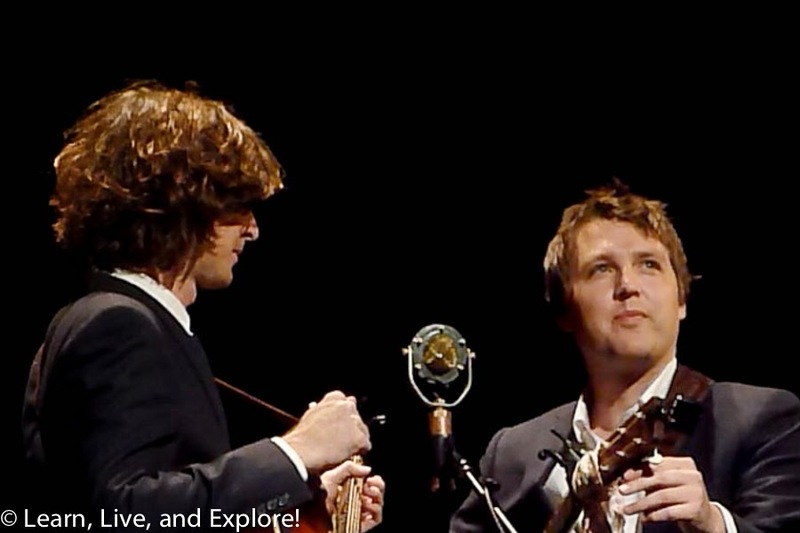 If you can make Punch Brothers' Chris Thile grin from ear to ear and Marcus Mumford get a little emotional, you must be absolutely great. Here's another clip that really captures Joey's witty, deadpan humor...and more flatpicking from Kenneth. Tonight was such an enjoyable event, and I can't wait to see them again this summer when they head back to the area.